This is a sponsored post, done in partnership with Febreze. This year I will be co-hosting with friends for our Super Bowl Party! In the past, I have always gone to a friends home and hung out at the snacks table until the half-time show - and then spent the second half of the game discussing the halftime show. Make no mistake - this year I will be doing the exact same thing, but will also be in charge of some of the snacks. What I love about Super Bowl parties is how it brings friends and families together. I also look forward to the commercials; there is always at least one or two that have people talking for days afterwards. What the Super Bowl means to me is the gathering of family and friends, great food, and the perfect way to spend a Sunday. One side effect of all the delicious foods, however are the funky smells that come with them (which seemed like a great idea at the time) . The foods are greasy, and leave me feeling both somewhat gross and...somehow still hungry. Plus the clean up that is involved afterwards and the weird lingering smells after everyone has left are a bit of a downer. This year I’m eliminating these issues by preparing healthier foods, and party prepping with Febreze! By using Febreze AIR before, during, and after the party, half of my work will already done! This year I will be making my brown rice and quinoa vegetarian stir-fry, and for my keto friends I will have my spicy baked eggs in marina. Both are incredibly easy to make, and take around 30 minutes each to prepare. 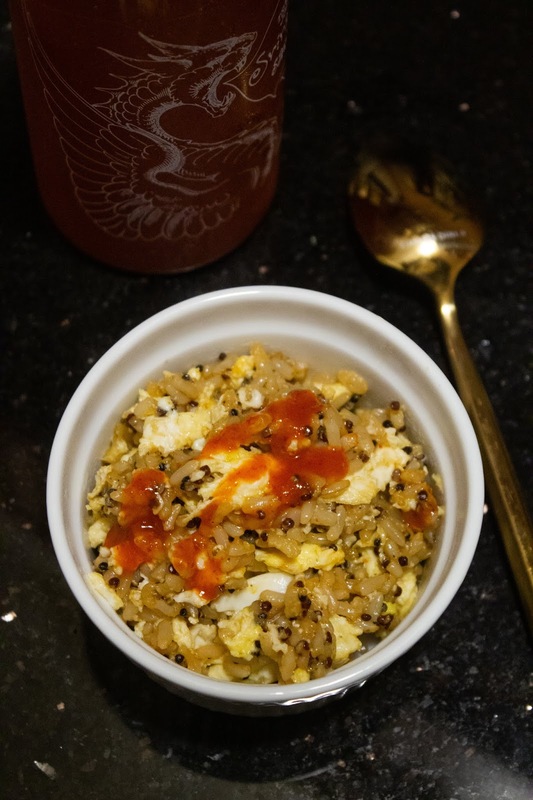 You will need ½ C of brown rice and ¼ C of quinoa per person. Measure out enough for all your guests, and cook up to a day ahead of time. ➔Note: I don’t use measurement for the seasonings - I usually just a little bit of everything, tasting and adjusting as I go. Once the rice mixture is seasoned to your liking, push it to the outer edges of the pan, leaving the center open. Then add in the eggs, slowly turning them until cooked, and then mixing in the rice. Cooking the eggs this way ensures that they are thoroughly cooked, and that they don’t coat the rice mixture (which would make everything soggy). Rule of thumb: I prepare one whole egg and two egg whites per guest. Great ingredients to add to your stir-fry: green peas, shredded carrots, chopped green onion, garlic, cashews, pistachios, diced pineapple, raisins, and/or sliced jalapenos are all great places to start! Get creative! Total cook time, including the rice mixture: 30-35 minutes. 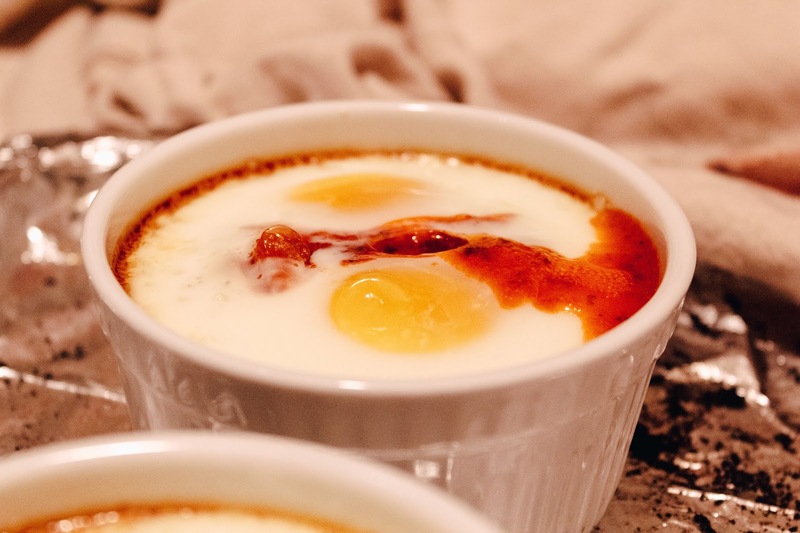 Traditionally my baked eggs include slices of polenta; but corn is a no-no on the Keto Diet, so not a problem! This recipe is incredibly easy to make, and mega bonus: once removed from the oven, they stay warm for a good 20 minutes, making this an ideal dish to create before guests arrive. Pre-heat oven to 400F. Fill each ramkin ⅔ full with tomato sauce, cracking two eggs on top. Place in oven and bake for 20 minutes. Top with cheese (optional). That’s it!! This recipe is incredibly simple, but it is delicious. And, your Keto friends will thank you for thinking of them. Total cook time: 20 minutes. Once you have the food prepared, don’t forget to do a final walk-through throughout your home: fluff the pillows on the couch, check the drinks, make sure you have enough ice, and Febreze your home. Cooking several different foods (while all delicious!) can have smells competing with each other. Freshen things up with Febreze! And since Febreze is made to not just mask odors, but eliminate them, be sure to remember treat the couch: there will be a lot of people on it throughout the day. Pro-Tip: once your Super Bowl Party is underway, don’t forget to keep things fresh throughout the day. Febreze AIR can be used to keep your space smelling clean and inviting by spraying as needed. 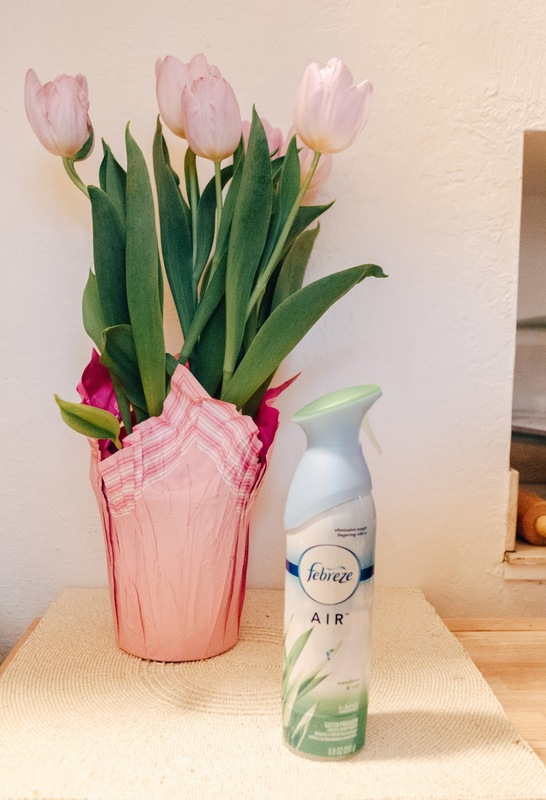 Febreze AIR cleans away odors in two simple ways: seeks out tough odors and cleans them away by deactivating and replacing them with a light, fresh scent. After your guests are gone, make clean up a breeze: enlist a volunteer to assist you. 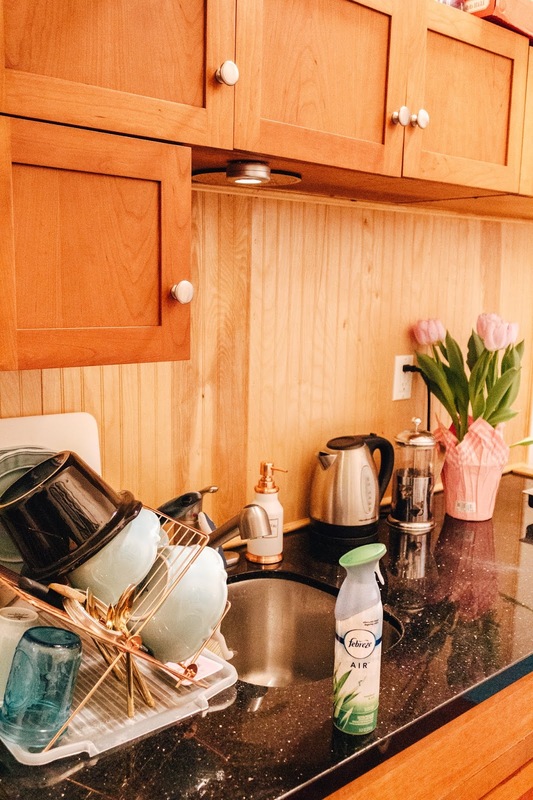 Set up a “soaking station” to place dirty dishes as they come, which will reduce the time needed to scrub them. Be sure to vacuum and sweep all guest areas, and bundle up all the trash. 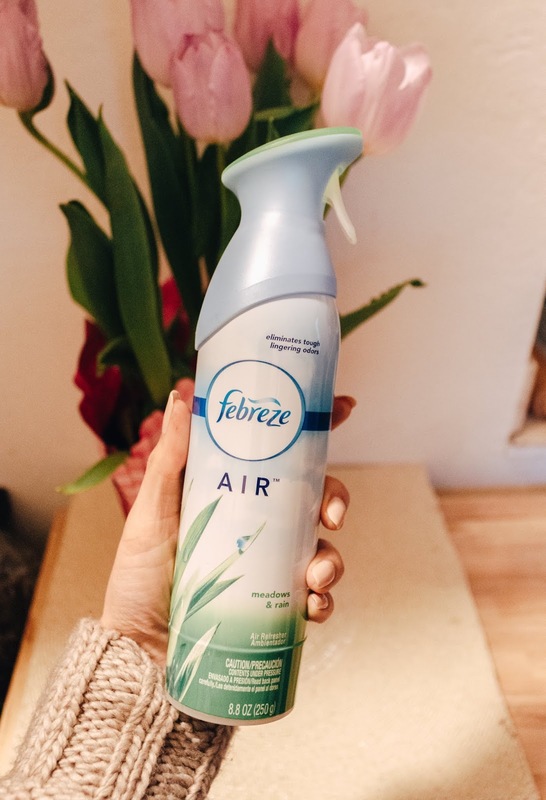 Use Febreze AIR to freshen up the home so it doesn't just look clean, but smells clean too. Final step: relax!